Review : Garnier White Complete Face Wash and Fairness Cream | Garnier White Complete Range | #7DayGarnierChallenge | The Shopaholic Diaries - Indian Fashion, Shopping and Lifestyle Blog ! 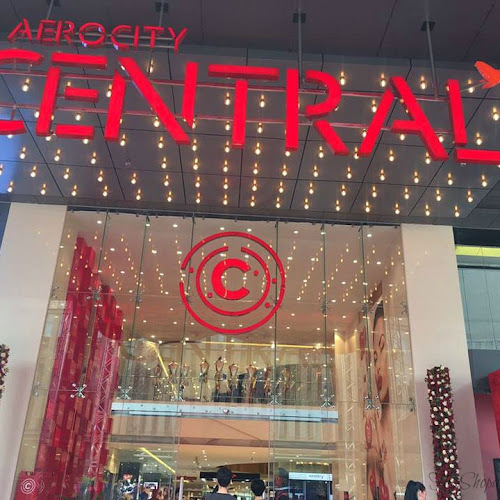 I am so excited being back to town after my vacation in Dubai. Do you still don't know about it? Head over to my Instagram page to see some pictures as I will be sharing more about it in the comings posts. 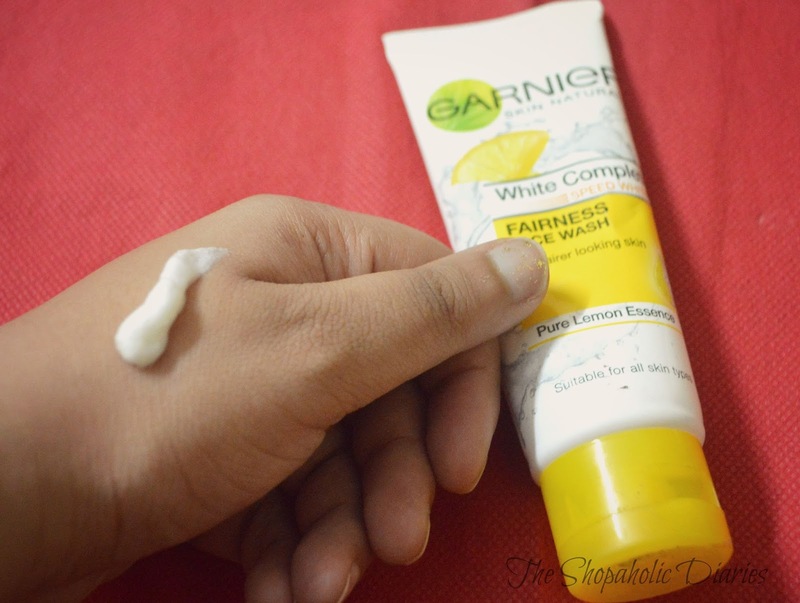 Well in today's post, I will be sharing my experience with the Garnier White Complete Range which I have been using since last 10 days. 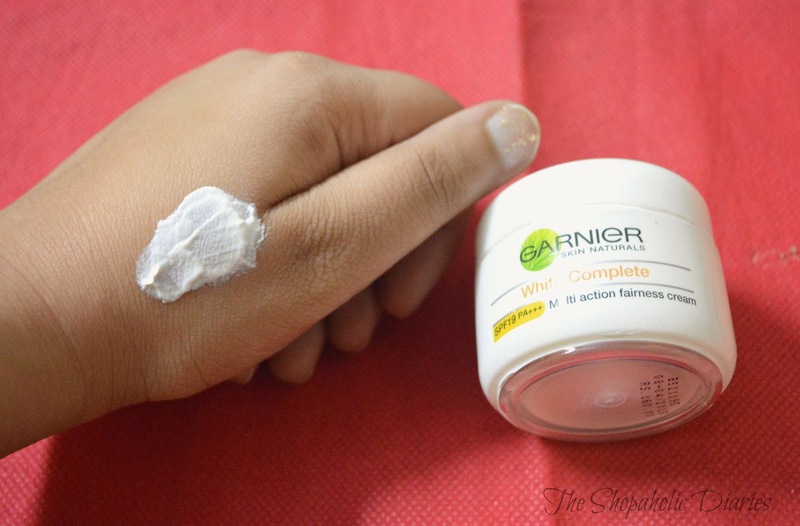 I have has used their Garnier White Night cream religiously in the past, and I really loved how it made my skin healthy overnight. 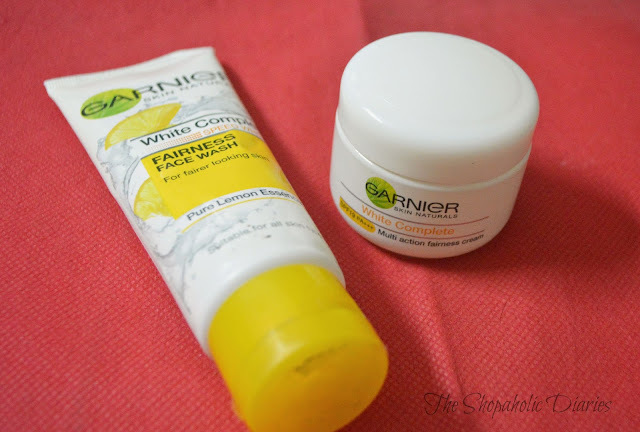 Therefore, when I received the Garnier White Complete Fairness Face wash and Garnier White Complete Fairness Cream, I was already expecting them to be really good. The product comes in a travel-friendly, lightweight tube which features a bright yellow flip open cap. It features a rich creamy texture that lathers really well. A small pea-sized amount of the face wash is enough to thoroughly wash your face and neck. I liked the fact that it not only removes dirt and makeup from my skin effectively, but also doesn't dry my skin out like other face washes. Rich in Lemon Essence, the brand claims it helps give you an even complexion. The claim stands true to an extent, as my blemishes have reduced after its usage twice a day. Now, I am very particular when it comes to choosing a skin care product, especially for moisturizing, as I have a combination skin which acts funny and breaks out whenever I try new products. I have used various creams in the past, but the best suitable formulas for my skin have been BB creams or Gel-based products. Even the Garnier White Complete Night Cream works well for my skin as it doesn't leave it looking greasy and gets absorbed into the skin. 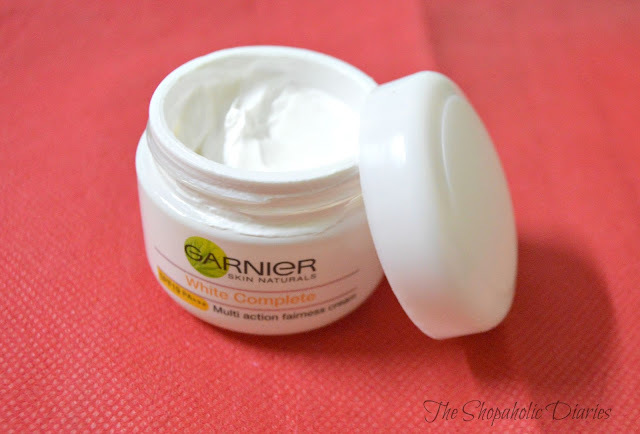 Garnier White Complete Fairness cream comes in a small pot like packaging which is sleek and travel-friendly. It is rich in Pure lemon essence and SPF 19 PA+++ which makes it an affordable option as a day cream. I tried it for over a week, but I found the formula little heavy for my combination skin. So, in my opinion dry skin beauties can give it a try as it has a creamy formula that would keep their skin moisturized for long hours. 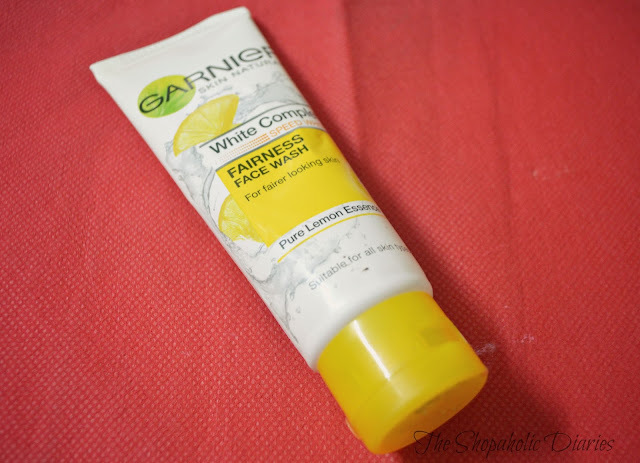 Overall, while the Garnier White Complete Face Wash has been a win-win for me, I would recommend the Garnier White Complete Fairness Cream for people having a dry skin to make their way for a moisturized, even skin. Have you used Garnier White Complete range yet? If not, then its time that you sign up for the Garnier #7DayGarnierChallenge where you have the chance to win an amazing Garnier hamper. 2. Try out the cream for a week. 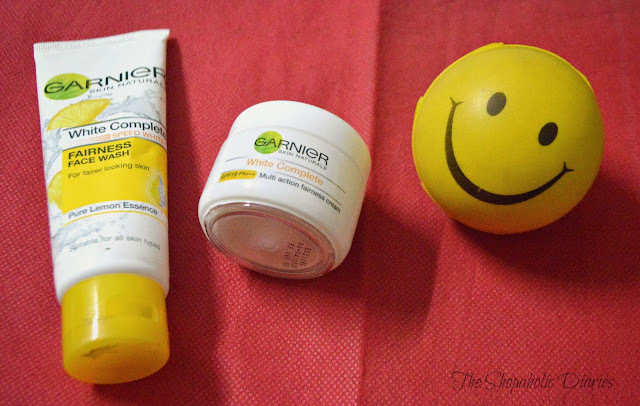 Although garnier provides an array of products, I prefer using natural & herbal products. 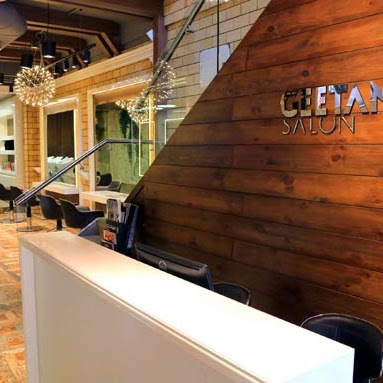 These organic haircare and skincare products are made from pure natural ingredients. 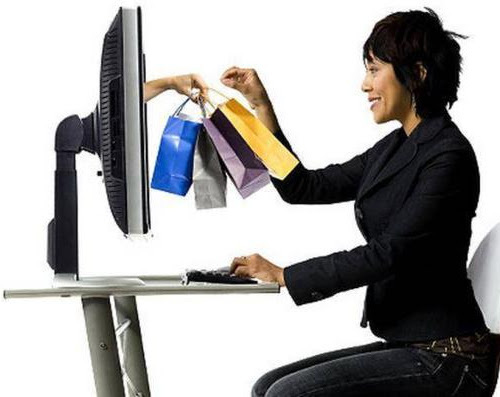 There are no synthetics or chemical additives present in the products. 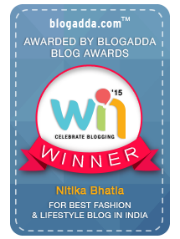 The products are made of the natural goodness of herbs and essential oils. Rose scrub and natural lip balms are my favorites.